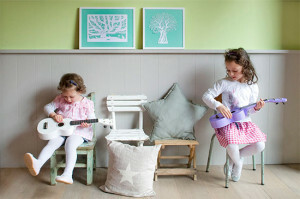 The idea of couPure came when Negar, mother of 2 living in Switzerland, tried to find original personalised children wall artwork for her children’s room. She looked at the local traditional art of papercutting “Scherrenschnit” and found it very beautiful and unique. She decided to apply it to beautiful, fun and modern designs for children. couPure came to life, a unique and trendy artwork for special moments. We spent a great deal of time designing our wall art themes and getting feedback from parents and children. For sure nothing is more valuable than children’s honest opinion and we are glad to say that all our designs passed the test of children’s tastes while remaining appealing and unique to parents.